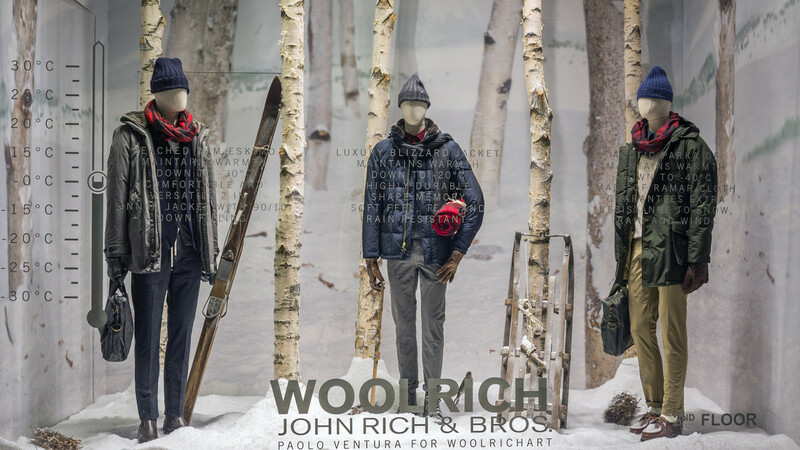 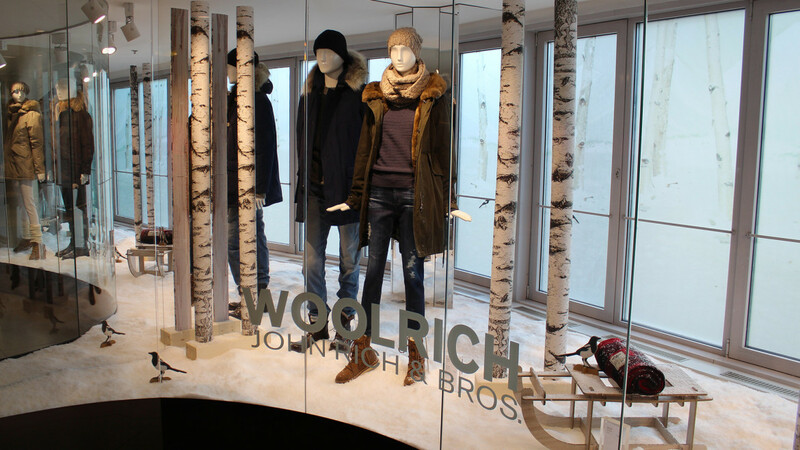 For its Fall Winter 2015 Collection, Woolrich asked Sartoria to work on a pinnacle retail experience of FW15 key visual. 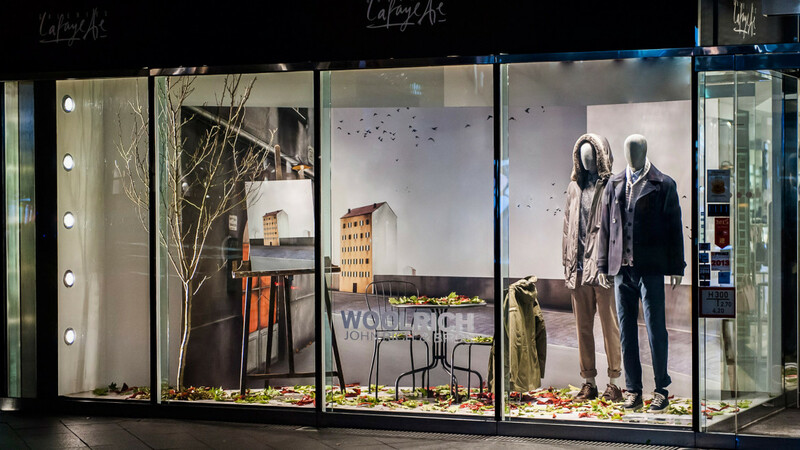 The idea – as with the last season – was to create a theatrical scenery inside the windows, thus stands for the backdrop in view, wooden frames and the stage scattered with props. 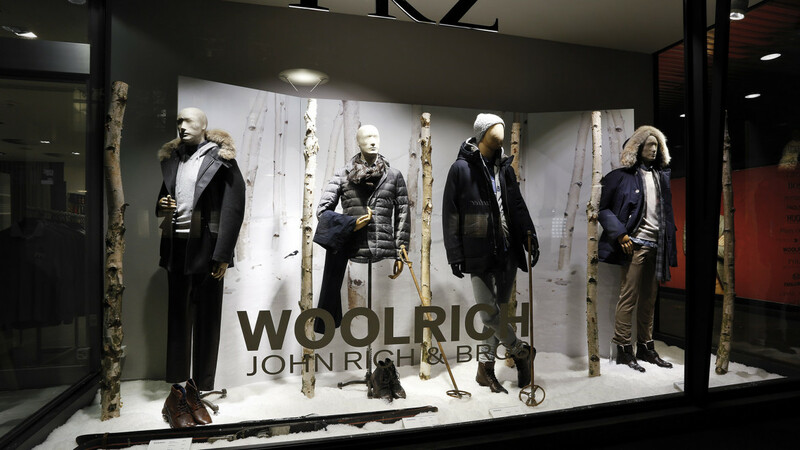 We designed these special window displays for a selection of prestigious doors in Germany, Italy, Switzerland, Austria and Sweden including: Galeries Lafayette Berlin, Breuninger Stuttgart and Dusseldorf, Engelhorn Mannheim, La Rinascente Milan, PKZ Zurich, Steffl Vienna, NK Stockholm.